The AD-1690 will rule if a device passes or fails an air pressurisation test immediately indicating if the item requires attention or repair. As the AD-1690 works on an evacuation principle instead of an injection method it prevents foreign particles being pulled into the device potentially causing damage. 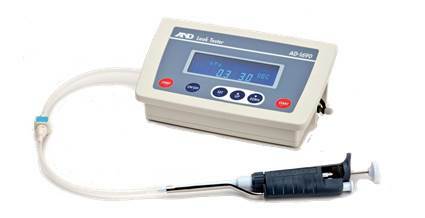 The device comes with three attachments for pipette testing allowing pipette volumes of 1µl to 10,000 µl to be tested. Data can be output to a peripheral device via the RS-232C interface.